Fireside Spiced Chai Tea is a creamy blend of black tea, real honey, milk and spices. 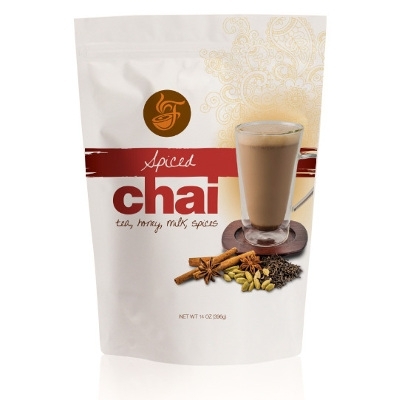 Add a few spoonfuls of our instant gourmet chai mix to your mug, pour in hot water, stir and enjoy! In the mood for iced chai? Dissolve the chai mix into a small amount of hot water, add cold water and pour over ice - delicious! How about a chai frappe?!?! Add the chai mix, water and ice together in a blender and you'll have a perfectly smooth and chai frappe!